If ten men tell you you’re a horse, you need to buy a saddle. I stared in disbelief at my Regional Manager. I could no longer hear the words coming from his mouth because all my attention was turned inside in a torrent of abuse aimed at him, the company, the industry, and of course, myself. How could this be happening to me? How could I be turned down for the management development program when it had been de facto promised to me if I hit certain goals. Goals that had all been reached and most smashed. Too pessimistic, me? Was he being serious? I wasn’t a pessimistic person at all I was a realist. Sure I was the guy at meetings that pointed out the down side of things. But every business needs employees that can be objective, point out flaws, and not just agree to everything suggested by senior management. It just so happened I was that guy, and proud of it! Over the next few days, and rather ironically considering what I had been told, I whined and complained to everybody and anybody that would listen to me about how poorly I had been treated. The responses didn’t quite pan out as I thought though because I didn’t get anything like the sympathy I expected from such an obvious travesty of justice. In fact just the opposite in many cases, with people shrugging their shoulders and a couple even laughing out loud in a “What did you expect?” manner. I was stunned, I mean really stunned. I was starting to see myself as others saw me rather than I thought I was. Leaving the whole Myers-Briggs thing to one side and speaking very broadly, people tend to think of themselves as belonging to one of three different personality types. 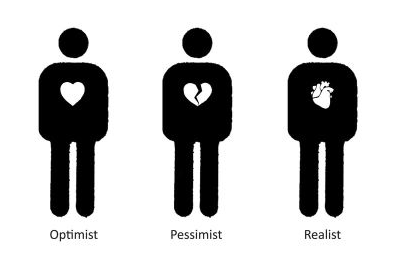 They either see themselves as being an optimist, a realist (pragmatist) or a pessimist. When I speak to groups I will often kick things off by asking people to raise their hand to indicate which group they think they belong to. The split is usually along the lines of 50% feel they are optimistic, 40% realistic and 10% pessimistic. Those figures are probably skewed somewhat as I suspect few people like thrusting their hand in to the air to announce to their peers and employers they are pessimistic. In my experience, it’s seldom a good career move. However, it’s really a trick question, because to my mind there are really only 2 groups of people, optimists and pessimists. Take a glance around you at the moment and I guarantee you can see any number of things that at one time in the past were considered totally unrealistic and beyond the pale, including the device you are using to read this post. Every single major breakthrough in the history of the human species was at some point in time considered unrealistic. Every single one. 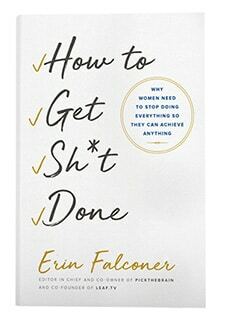 History is littered with legions of realists lining up to ‘help’ the doers and the optimists by pointing out the error of their ways and assuring them they are wasting their time. Fortunately for humankind optimists tend not to listen to other peoples version of reality Otherwise we’d still be living in caves, clubbing our dinner to death each evening and wearing furry underwear. I’m okay with the furry underwear bit, but I’m not so keen on stalking my dinner or hanging out in bat-ridden, bear-hiding caves thanks very much. If you’re still not convinced and think you are a realist let me take it a stage further. How Realistic Are You Really? Think of the last 5 things you worried about. How many came true? My guess is if you are anything like the vast majority of my clients it’s either 0 or 1. And even if it’s 1, I doubt it was as serious as you feared and you obviously dealt with it because you are here reading this post. So how realistic is it, spending most of your time worrying about things that, on the whole, never happen, and when they do you deal with them? Shortly after my setback I picked up a copy of ‘Learned Optimism’ by Martin Seligman and started to read and things started to make sense. I realized that my form of realism wasn’t just draining on people around me and a millstone around the neck of my career, but it also had a host of negative psychological and health issues connected to it. Optimistic people, get sick less often, they are more successful in their careers, they make more money, they’re happier and they tend to live longer. Not only that, but even though about 50% of our happiness levels are set at birth by our genes, the wiggle room in the other 50% is so great that (psychological issues aside) anybody can learn to be optimistic and thus happier. If that is, the will is there. How come nobody ever told me this at school? It’s over 10 years since I had that conversation with my boss and barely a day has passed when I haven’t done something to help me move toward being a happier and more optimistic person. I would be lying if I said it has been a smooth upward curve to a state of permanent blis, because life doesn’t work like that. However, I’m pleased to say that I’m now the guy that looks for solutions and not the one that looks for problems and I’m grateful that my manager helped me realize I needed to buy a saddle because even though I didn’t believe it at the time, there really was no conspiracy. Tim Brownson is a Life Coach, NLP Master Practitioner and writer. Originally from England he now lives in Orlando and is currently involved in a project to giveaway 1,000,000 copies of a book he co-authored called How To Be Rich and Happy to good causes. Don’t Forget To Follow PickTheBrain on Twitter! One Response to Are You a Realist? Thanks for posting such a great article that can help a lot of people to get out of the irritation of doing their job it can be like a guideline for many people just as this webpage guides people to know how to delete the bing history by just following some simple steps.